THE SKINNY: This doesn't really feel like a cleansing wipe to me. The cloth has a weird texture and the liquid is rather sticky. I feel like I need to rinse the product off. The grapefruit essence, meant to fade dark spots and boost your skin's glow, didn't bother my eyes. It did a so-so job removing makeup. It didn't really do anything for my skin. The wipes smell good, too. 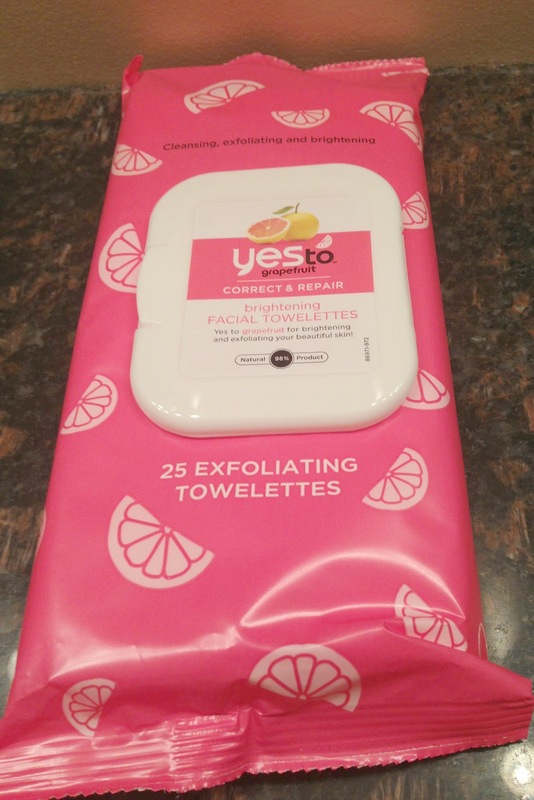 CHECK IT OUT: Yes to Grapefruit includes moisturizers in the product line.